Copyright © 2013 H. H. Hardy. This is an open access article distributed under the Creative Commons Attribution License, which permits unrestricted use, distribution, and reproduction in any medium, provided the original work is properly cited. 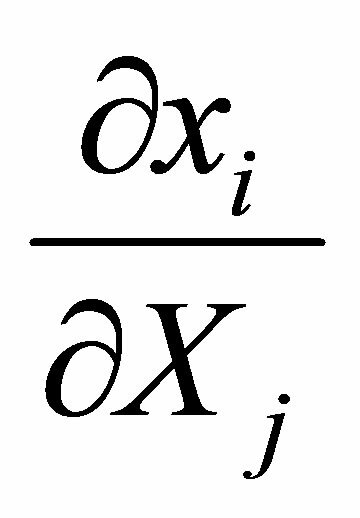 Differential equations to describe elasticity are derived without the use of stress or strain. The points within the body are the independent parameters instead of strain and surface forces replace stress tensors. 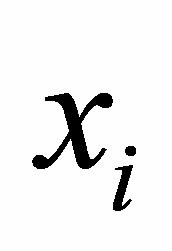 These differential equations are a continuous analytical model that can then be solved using any of the standard techniques of differential equations. 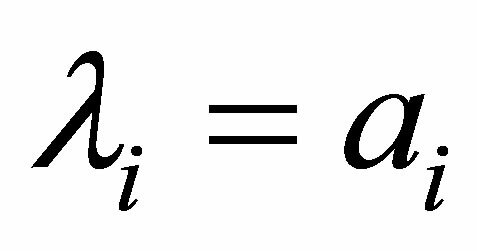 Although the equations do not require the definition stress or strain, these quantities can be calculated as dependent parameters. This approach to elasticity is simple, which avoids the need for multiple definitions of stress and strain, and provides a simple experimental procedure to find scalar representations of material properties in terms of the energy of deformation. 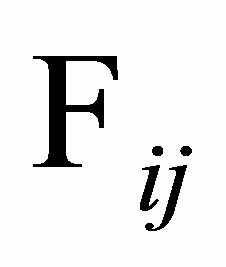 The derived differential equations describe both infinitesimal and finite deformations. 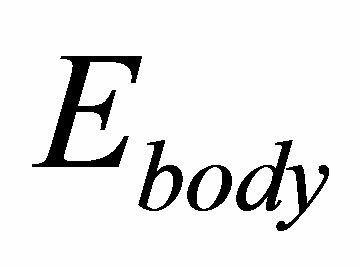 Euler, Lagrange, and Poisson all described the deformation of materials in terms of positions of points and forces within the body. 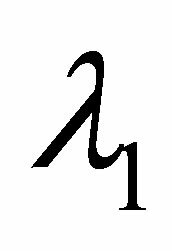 Cauchy introduced the concepts of stress and strain, which are now the standard for elasticity equations (An accessible early history is found in Ref  with pointers to the source documents). In this paper, I will return to the earlier use of points and forces to describe elasticity. Surprisingly, only a few basic assumptions are required. 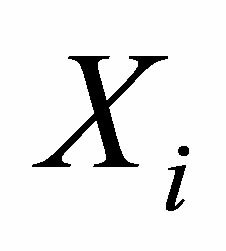 Using the notation of Spencer , the points within the body before deformation are described as Xi = (X1, X2, X3), with corresponding to the initial x, y, and z coordinates of each point, respectively. The corresponding points within the body after deformation are described as . 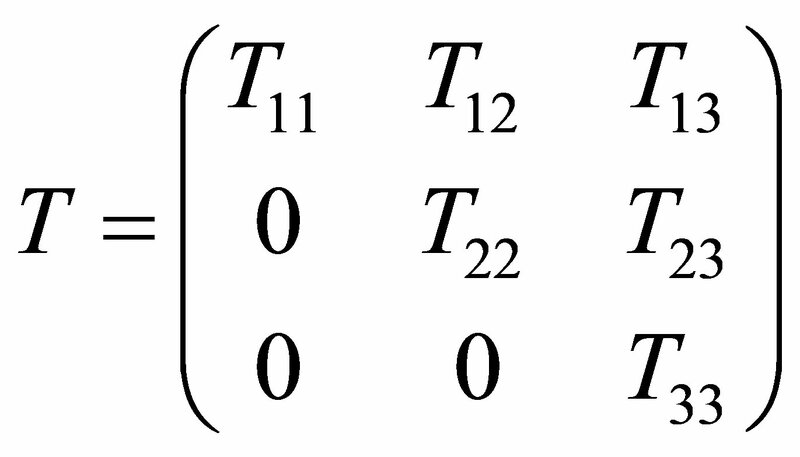 The position of each point after deformation is a function of the original location of that point, i.e. 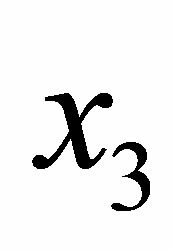 , x2 = f2(X1, X2, X3), and . When an elastic material is deformed, work is done on the material and energy is stored in the material. As the material is returned to its original shape, the energy returns to its original value. Thus the energy depends only upon the final position of the points within the body. Experts in elasticity theory call this hyperelasticity. Hyperelasticity will be assumed for the remainder of this paper. 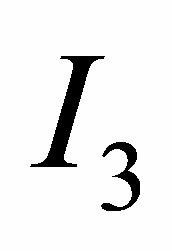 for i = 1, 2, 3 and j = 1, 2, 3 and where the integral is taken over the entire body. 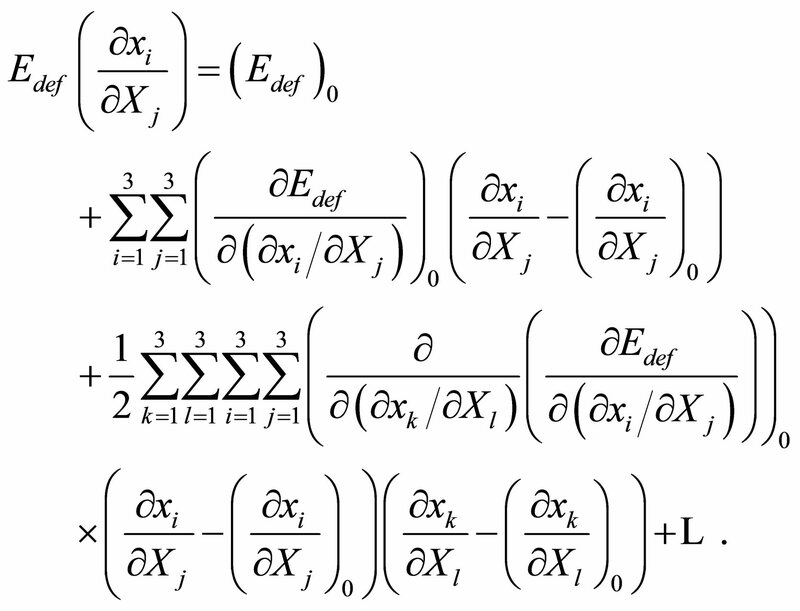 These are the differential equations of elasticity. All that remains is to appropriately describe the energy function E and the boundary conditions. 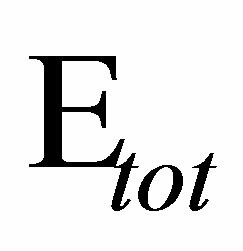 The energy of deformation, , must be invariant to coordinate translations and rotations. 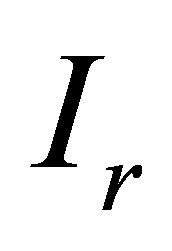 A common way of accomplishing this  is to define energy in terms of the invariants of the deformation gradient tensor, . 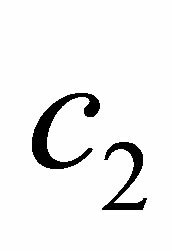 where , , and are the column vectors of . 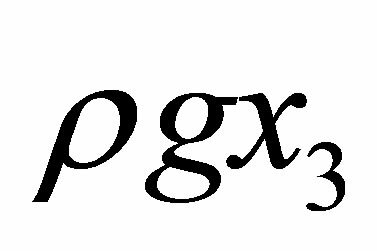 Any algebraic combination of these 6 values can also be used as invariants for anisotropic bodies. where is the component of the force at the surface defined by the vector with , , . 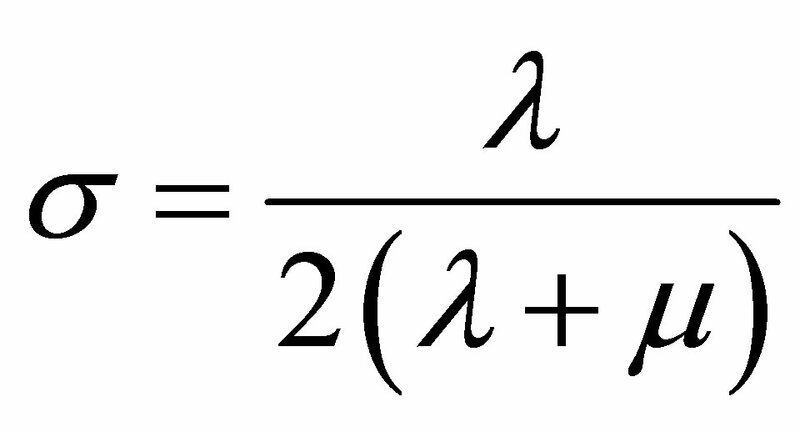 Once the energy per unit volume, E, is expressed in terms of the invariants of , which are in turn functions of , Equation (12) provide the constraint equations for the Neumann boundary conditions. 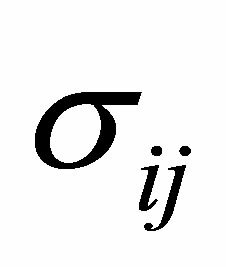 The differential equations of elasticity have now been completely described. No reference has been made to the magnitude of the deformation. 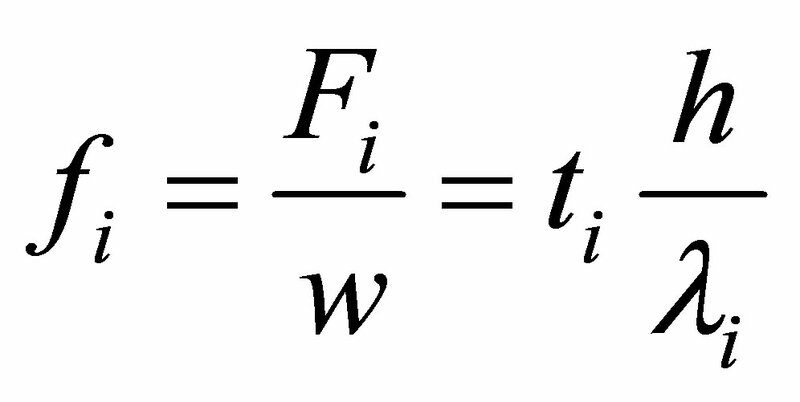 As a result, Equation (3) apply to both infinitesimal and finite elastic deformations. Also they apply to both isotropic and anisotropic materials. Although the equations are general, for simplicity I will limit the rest of this paper to isotropic materials. 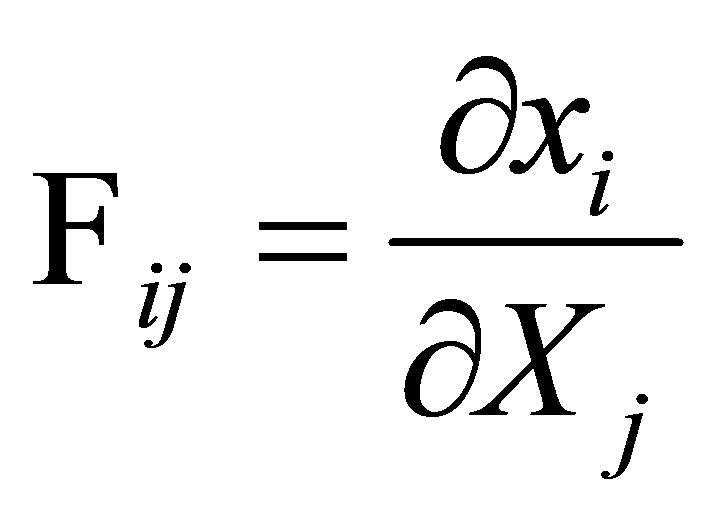 In order to make the connection between the differential equations of elasticity given here and the “standard” differential equations of infinitesimal elasticity, I will show that a Taylor expansion of for an isotropic body yields the infinitesimal free energy as described by Landau  (Equation 4.1, p. 9). 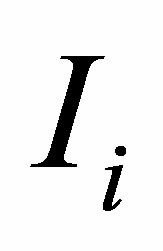 This infinitesimal free energy when substituted into Equation (3) results in the differential equations for infinitesimal deformations that Landau derived assuming strain to be the independent parameter. 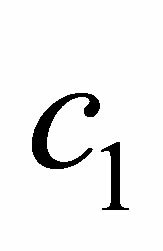 where the “0” subscript corresponds to no deformation (i.e. when and ). where Young’s modulus and Poisson’s ratio . Note that this stress corresponds to force divided by original area. 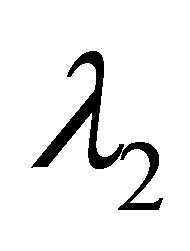 We can now conclude that all of the solutions to problems in classical infinitesimal elasticity described by Equation (20) are also solutions of Equation (3). One other observation should be made here. 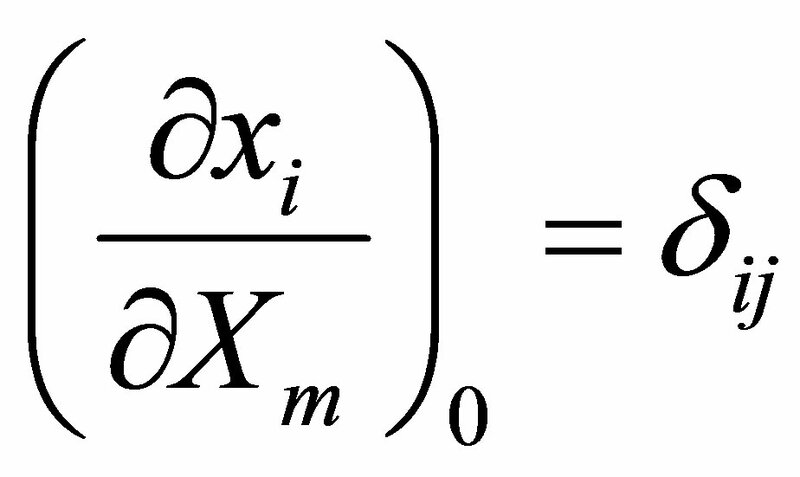 As defined by Landau, defined in Equation (21) is the stress exerted by the surroundings on the material volume. 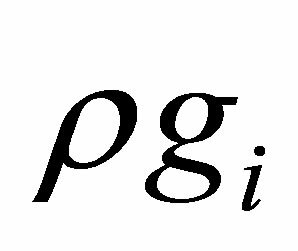 Noting this and considering the case where the material is in the gravitational field of the earth, we see that Equation (2) are just the equations of equilibrium in terms of stress, i.e. 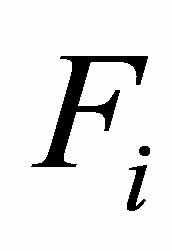 The real power of Equation (3) is not that they can reproduce standard infinitesimal elasticity equations, but that they apply equally well to finite elasticity. 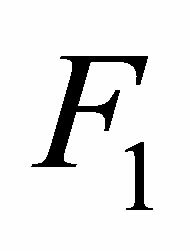 Consider for example a finite deformation with no body forces. 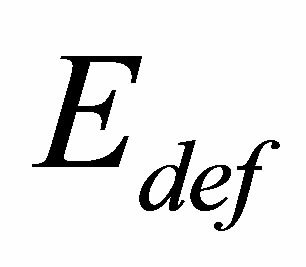 Since E is a function only of , the derivative of E in Equation (3) results in equations with every term containing a second derivative of with respect to . As a result, any homogeneous deformation without body forces automatically solves Equation (3), depending only upon the boundary conditions. Consider two such homogeneous deformations. The first homogeneous deformation simulates the experimental results of Rivlin . 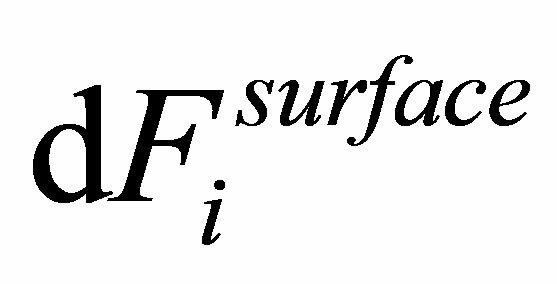 These experimental results can be used to define an energy function E. The second homogeneous deformation uses this energy function to calculate the surface forces necessary to produce a simple shear of 25˚, which is much larger than would be possible with infinitesimal elasticity theory. and the singular value decomposition of gives . original thickness = 0.7 mm of the deformed rubber sample. This information allows the measured and to be reconstructed. 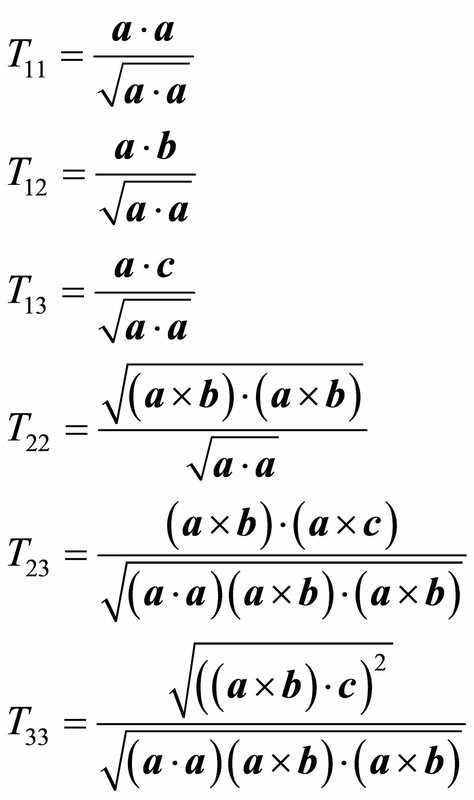 Substituting these values into Equation (12) provides three constrain equations for finding a, b, , and . Unfortunately Rivlin assumed the rubber he deformed to be incompressible, so and b can not be evaluated using his data. 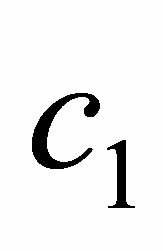 However, if a, , are computed assuming incompressibility, an estimate of b can be obtained using compressibility from Wood , , Equation (18), and Equation (19). 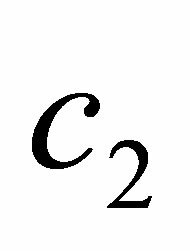 The result of this fit is , , c1 = 2.0902, c2 = −0.127399 all in Rivlin’s units of . 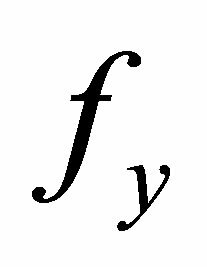 Poisson’s ratio is 0.499888 and Young’s modulus is . These results are at least consistent with Rivlin’s data. The process followed here to derive is not ideal. What is really needed is experimental data for the entire energy cube as describe by Hardy and Shmidheiser . 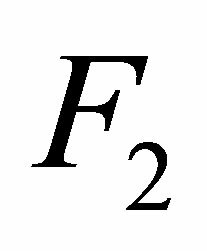 Lacking that experimental data, I will use the energy function Equation (23) to demonstrate a case of finite simple shear. 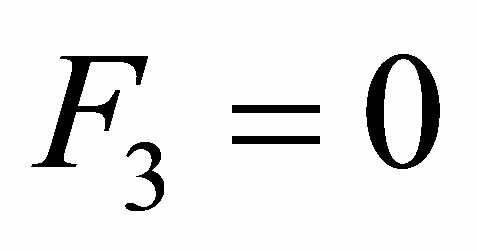 A simple shear, corresponding to a 25˚ deformation in the y direction, is , , and . The forces required for this deformation on a cm cube can be found using Equation (12) and the energy function that fits Rivlin’s data, Equation (23). 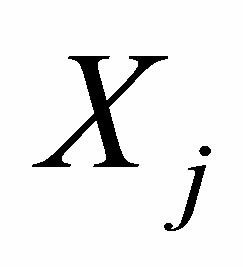 The result is , , and all in Newtons, with , , and being the force against what was the original yz, xz, and xy face, respectively. 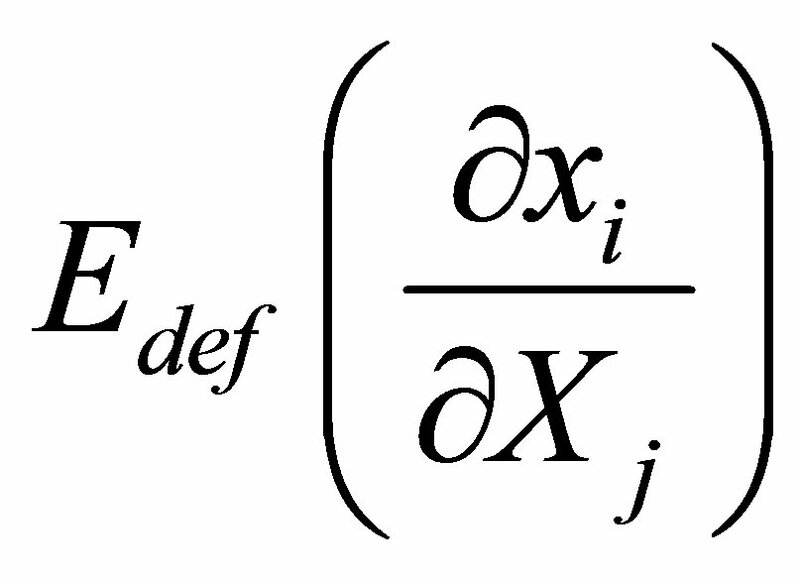 Of course not all deformations are homogeneous, but Equation (3) are appropriate for finite element or any other technique for solving differential equations for more complicated problems when homogeneous deformations do not satisfy the boundary conditions of a particular problem. Elasticity theory has been dominated by Cauchy’s stress and strain. 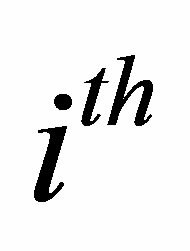 Cauchy’s approach works well for infinitesimal elasticity as used in most engineering applications. 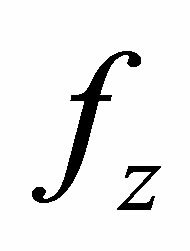 For finite deformations, however, Cauchy’s approach becomes unduly complicated, spawning a number of new definitions of stress and strain. The Euler-Lagrange approach presented here avoids these complications. 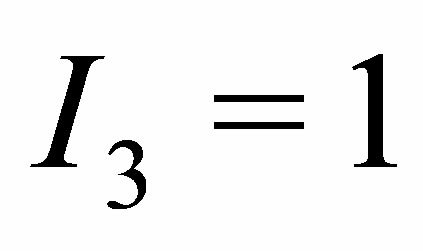 In addition, material properties in terms of the energy of deformation are easily input into the elasticity equations, Equation (3). 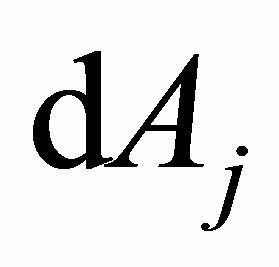 It is my hope that engineers and physicists who require computer models of finite deformations will consider the Euler-Lagrange approach. I also hope that it will encourage experimentalists to “map out” the energy of deformation for more materials as Rivlin has done with rubber. I would like to thank Jens Feder, Torstein Jossang, Richard Beier, Paul Meakin, and Jonathan Gaston for their support and encouragement of this work. I. Todhunter, “A History of the Theory of Elasticity and of the Strength of Materials from Galilei to the Present Time,” Cambridge University Press, Cambridge, 1886. A. J. M. Spencer, “Continuum Mechanics,” Dover, New York, 1980. R. W. Ogden, “Non-Linear Elastic Deformations,” Dover Publications, Mineola, New York, 1984. L. D. Landau and E. M. Lifshitz, “Theory of Elasticity,” Course of Theoretical Physics, Vol. 7, Elsevier, London, 2005. L. A. Wood and G. M. Martin, “Compressibility of Natural Rubber at Pressures Below 500 kg/cm2,” Journal of Research of the National Bureau of Standards, Vol. 68A, No. 3, 1964, p. 259.